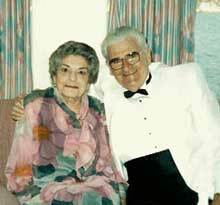 The Menard Family Foundation was established by Barbara J. Menard in December 1998 to continue the philanthropic activity of her parents Bernard P. and Mary K. Menard. The Menard Family Foundation was registered as a charitable non-profit corporation in March 1999. Mary Katherine Chafey Menard was the oldest of the four children of C. William and Mary Catherine Chafey. She was born and raised in Pennsylvania. 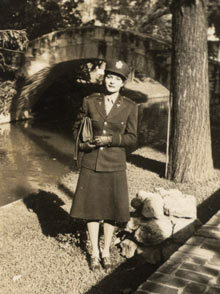 After graduating from Shillington High School, Mary Katherine received her degree and license as a registered nurse from St. Joseph’s School of Nursing in Reading, PA. She worked as a surgical nurse at St. Joseph’s Hospital until she enlisted in the United States Army in July 1942. Bernard Prudent Menard was the oldest of the three children of Prudent Bernard and Rena Blais Menard. He was born in Minnesota, and raised in Hollywood, California. He attended Blessed Sacrament grammar school, Hollywood High School and he graduated with a degree in mechanical arts from the University of California at Los Angeles in October 1943. Both Mary and Bernard were nurtured by the Roman Catholic faith of their parents. Growing up during the Great Depression, they were exposed to the struggles of many families to find adequate shelter, food and clothing. They both valued hard work, doing one’s best, and a concern for those who are in need. 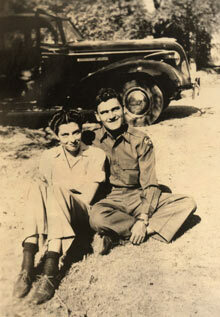 Bernard and Mary met on a blind date as young lieutenants in the United States Army. Mary Katherine was working as a surgical nurse at McClosky General Hospital in Temple, TX and Bernie was stationed at Fort Hood in Texas. He was sent to drive Mary to an officer’s party, a party she did not want to attend because she had to report for work at 11 p.m. At the end of the evening Bernie asked Mary Kate if he might see her again. He would come and pick her up Sunday mornings and their dating included attending services at the base Roman Catholic Church. Bernard continued to court Mary Katherine as they served in Europe during World War II, and upon their return they were married in Hollywood, California on August 16, 1946. They moved to San Diego, California in 1947. In 1949, Mary Katherine focused her energies as a homemaker raising their daughter, Barbara. Bernard joined Kieran F. Vanier at Business Forms Printing Company, a small printing company with only two presses. From its humble beginnings the company grew into a multi-million dollar graphic arts corporation. The name was changed to Vanier Graphics Corporation, and the presses rolled with products from carbon coated multi-layer forms to continuous computer forms to optical character recognition forms. In 1976 Vanier Graphics merged with American Business Products and added five new companies and expanded to a nationwide company with a nationwide sales force. 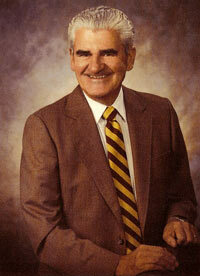 Mr. Bernard P. Menard advanced from Sales Manager to Vice President to President and Chief Operating Officer. Because of his successful business experience, Bernard and Mary made significant investments that enabled them to begin their practice of annual charitable giving. Bernard was known as a fair, ethical, dedicated, hard-working, organized and fun-loving world traveler. Mary Katherine was known as a strong, determined, private, proper, humorous, loyal, kind and loving person. Both Bernie and Mary were people of deep faith who sought to share from their good fortune to help those in need. They were deeply committed to education, the arts and music, conservation and research of animals especially endangered species, health care and the advancement of science through research. Their gifts have gone to provide direct service to those who are disadvantaged as well as helping to educate and support those trying to better society for the good of all. The grants made by the Board of Directors of the Menard Family Foundation continue this emphasis and expand the values held by Bernard P. and Mary K. Menard.